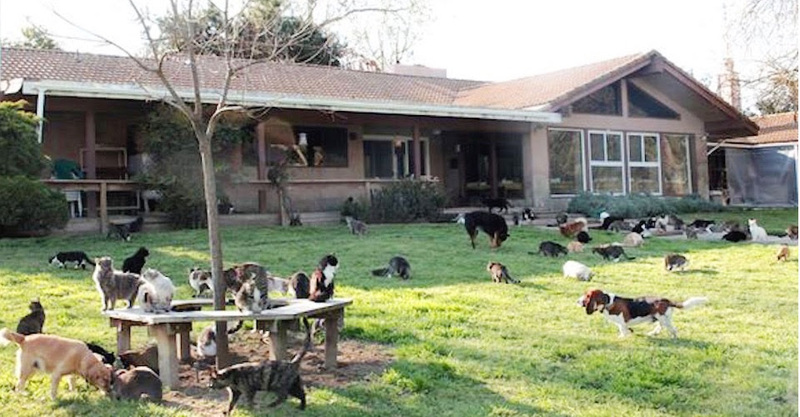 Woman lives with 1,000 cats, but people are shocked when she lets cameras inside home. Lynea Lattanzio might seem like the ‘ultimate crazy cat lady’ since her home is overrun by over 1,000 felines, but Lynea’s supposed madness has a method. She has been adopting and re-homing cats since the early 90s, and raises funds for food, litter, maintenance, staff and veterinary care. Now Lynea runs California’s largest no-cage no-kill sanctuary for feral and abandoned cats, known as Cat House on the Kings. She and her army of volunteers care for 800 adults cats and 300 kittens. ← Boy says goodbye to grandparents at airport, but loses it when he sees third boarding pass. Allergies going ballistic just looking at the still.